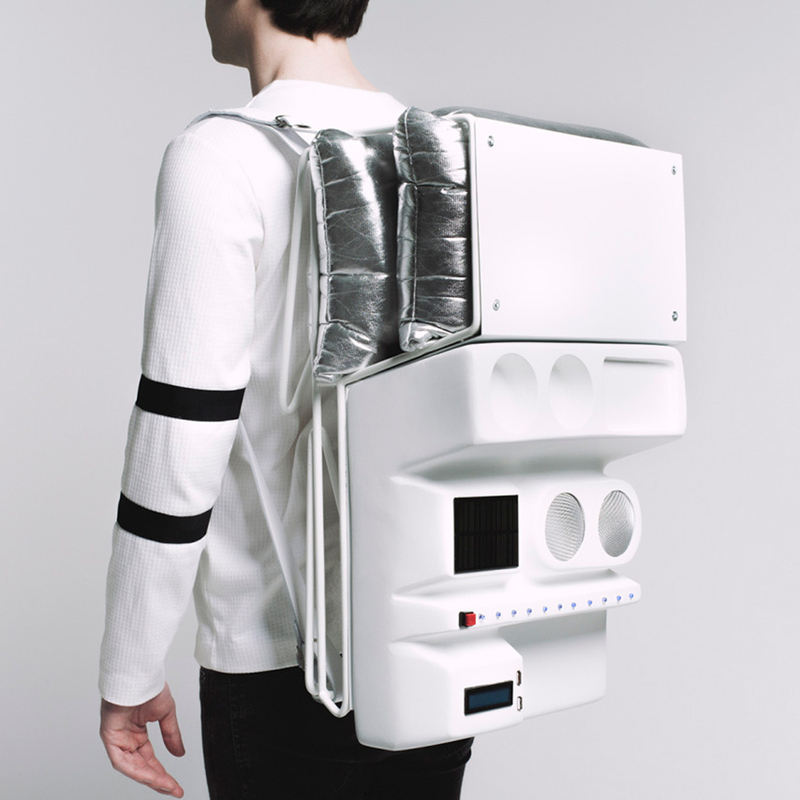 With that hard pavement and congestion in mind, Nouman and Fernandez, along with their firm Atelier TERATOMA, created a picnic basket/backpack reminiscent of a jetpack. It unfolds into its own table—because there’s no way you’re spreading your food out where a crowd of people is going to step on it—and also comes with a solar panel to power a set of speakers and charge smartphones (because no piece of picnicking equipment, furniture or clothing can be considered modern unless it charges your phone). Currently, they have made only one pack, but Nouman and Fernandez are currently looking for partners to produce these on a larger scale. So if you know anyone looking to get into the futuristic urban picnic game, have them got ahold Atelier TERATOMA here.